Choice of equipment manufacturers to create your most favoured fleet option. 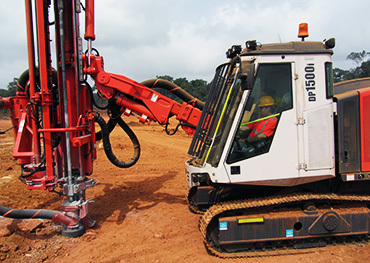 Latest equipment models, maintained to the highest standards, to maximize uptime. Management of your current assets, reducing overhead duplication. Experienced MonuRent specialists work with your team during the evaluation process. MonuRent has a solid track record in assisting international mining companies achieving their goals. Indeed, we are proud partners of world class projects both across Africa from multiple sectors. We provide an optimum fleet solution for your mining operations, meeting all your equipment needs from excavators, trucks and dozers through to pumps, generators and air compressors. We can also assist in providing equipment operators and supervisors. Our MonuRent Team will ensure your project is delivered to international standards, with full operational capability, whilst supporting occupational, health, safety and environmental practices and developing the national workforce with our training solutions. Remove the variable costs associated with equipment operation and maintenance from your project with the MonuRent Fleet Option. With the significant increase in food prices the world has encountered over the last 5 years, agriculture is now a key worldwide concern. MonuRent is the proud partner of agricultural projects in Ghana and Liberia, allowing the region to fully develop its potential via the increased yields that mechanised farming practices provides. May it be commercial, business or private facilities, MonuRent offers tailor-made equipment and support solutions helping you achieve your project on time and on budget. 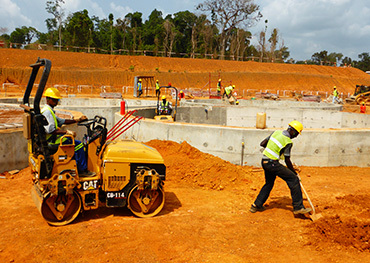 Our team of experienced advisors know exactly what is required in West Africa and will assist you in selecting the right rental solution for your project. We supply quality, late model branded products maintained to the highest standards, ensuring that when it's delivered to site, it's ready to deliver the job you require. The focus is on the methods, mechanical equipment, systems and related controls used to achieve overall efficiencies in your logistics chains. The MonuRent system is a fundamental part of a manufacturing and handling system since it interconnects the different processes supplying and taking out raw material, work pieces, parts and end products. Due to the automated nature of the whole production process, MonuRent responds in concert with timeliness for all requirements of the processes and systems. By outsourcing the management of the equipment fleet, businesses can focus on their core competencies knowing that equipment uptime will be maximized. MonuRent offers you the choice of equipment manufacturers, combining to create your most favored fleet option. Our MonuRent team will assist in the management of your current assets, eliminating duplication of overhead costs. Shortage of power solutions hindering your project? talk to us about supply and support of power generation solutions, our experienced team can develop a power strategy for your project, factory, workplace or residence. 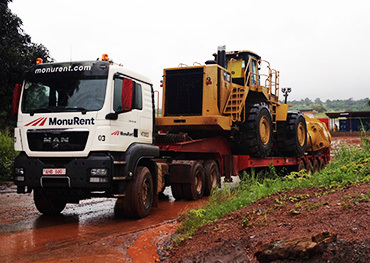 MonuRent have entered the market in Nigeria supplying full service solutions in the aggregate and limestone quarrying sector, our drilling, haulage and crushing specialists are ready to assist you with the technical and mechanical expertise to get your project up and running efficiently, safely and reliably. MonuRent's engineering and operational teams are currently providing services to West African miners in the pre-feasibility, bankable feasibility and operational implementation phases. These engineering services assist our clients to plan, schedule, and execute their projects leveraging off our experience to de-risk their project and increase their IRR's. MonuRent also undertake efficiency studies for existing operational projects, looking specifically at productivity, logistics, maintenance practices, safety management, and training strategies to optimise the effects of these processes in what is quite a difficult operational environment. Our teams undertake project reviews, formulate action plans, and assist with the implementation of world class operational processes and practices to suit your project. Contact us for more information at info@monurent.com.